Most people know Hyundai as a car company, but what many don’t realize is that they also have other departments with engineers working around the clock to innovate in other markets. Here is the Hyundai Nano Garden, the concept that won them the 2012 Fast Company Idea Award. The system is a self contained hydroponic garden you can place in your kitchen. The Hydundai Nano Garden includes built in lights as well as an auto-watering system that controls the interior conditions, and even prompt the user when it’s time to refill the water or nutrients. Hyundai even goes so far as to claim that the system somehow cleans the air in your home and reduces odors. Something I would have to see to believe, and is probably more marketing than actual product function. As it stands now, this idea is just that, an idea, a concept they are working on but which they haven’t yet brought to market. 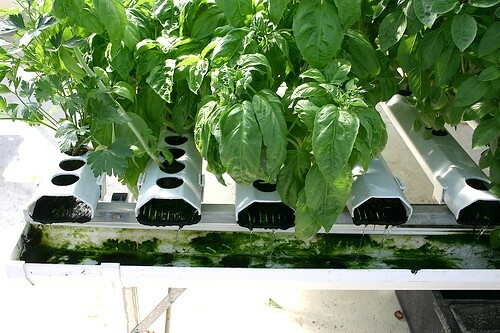 Having worked with hydroponics for a while now, I would bet my last dollar that this thing would costs A LOT of money, but I know I would definitely buy one if I had the cash to burn. Plus, it apparently has the ability to turn your family into a Betty Crocker commercial full of smiling white people, what could be better?